East London. 1890. 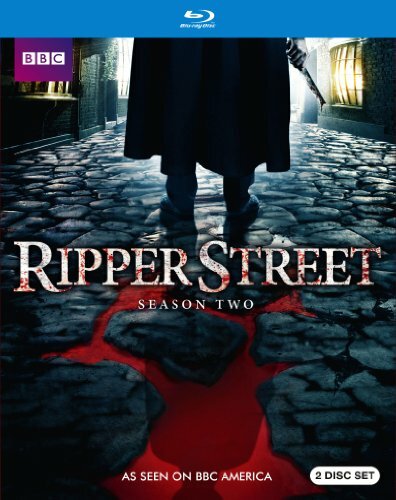 The long shadow of Jack the Ripper may be gone, but the job of protecting London's Whitechapel district has never been harder for Detective Inspector Edmund Reid (Matthew Macfadyen) and his loyal deputies Detective Sergeant Bennet Drake (Jerome Flynn) and Captain Homer Jackson (Adam Rothenberg). East London. 1890. The long shadow of Jack the Ripper may be gone, but the job of protecting London's Whitechapel district has never been harder for Detective Inspector Edmund Reid (Matthew Macfadyen, Anna Karenina) and his loyal deputies Detective Sergeant Bennet Drake (Jerome Flynn, Game of Thrones) and Captain Homer Jackson (Adam Rothenberg, Elementary). Against a society in rapid decline, the men of H Division take on new crimes that threaten to disrupt the delicate peace struck at the end season one, including a new drug scourge of an imperial nature, a female gang set on vengeance against their industrial tormentors, escaped bombers, subversive cult Svengalis and a mad eugenicist that stalks the circus freak shows for prey - an investigation that brings the elusive "Elephant Man" (Joseph Drake, Doctors) to their aid. These new threats will test Reid and his allies to their very limit, all while facing corruption in their own ranks from the neighboring force of Limehouse's K Division, and its formidable and entirely amoral leader, Detective Inspector Jedediah Shine (Joseph Mawle, Game of Thrones). The critically acclaimed BBC AMERICA series will return for a third season in 2015. Bonus Materials include "Beneath Ripper Street," a featurette with cast and crew interviews.